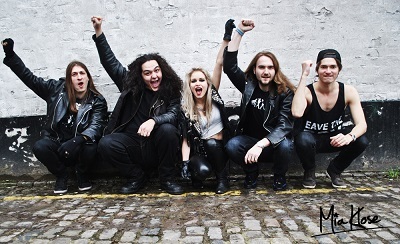 Swedish rock bombshell Mia Klose today announced two additions to the line-up of her 2013 festival-storming band. In on guitar to complete the band’s iconic twin-guitar sound comes Swedish youngster Kalle Arheden while Henry Rogers (Touchstone & DeeExpus), who has just been voted number 7 drummer in the world in PROG Magazine, joins the band on drums. Armed with this new line-up Mia will be booking more live shows and recording new song “Living For Love”, a hot favourite from her 2013 gigs, for release as a single and video in the Spring.